Provides guidelines on inspection techniques, protective and remedial systems and repair practice for concrete in structures. Also provides an overview of causes of concrete deterioration and the types and formation of cracks in concrete. The document is intended for widespread use by anyone engaged in the maintenance, repair and production of concrete structures. This Handbook is intended as an overview of typical methods and practices in the industry. It should not be used as a standard or as part of any contract relating to the repair of concrete. 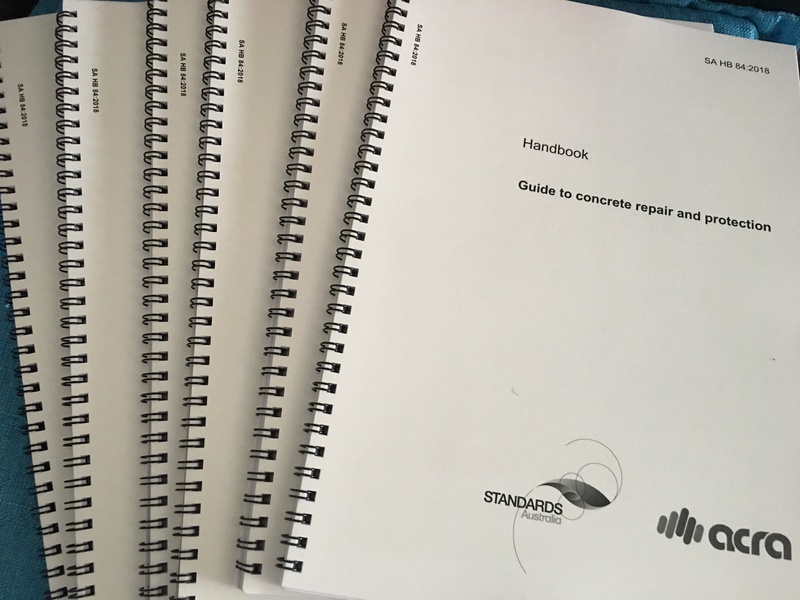 It is intended that this Handbook can be read and understood by a diverse range of persons, from professionals engaged in specifying or carrying out concrete structure repairs to those involved in the management of buildings and structures. Building owners and managers, consultants, builders and repairers will welcome publication of Guide to Concrete Repair and Protection. The Guide, which is published as a Standards Australia handbook, is the result of over a year's work by the Australasian Concrete Repair Association (ACRA) and the CSIRO's Division of Building, Construction and Engineering. The aim of the reference is that it "...can be read and understood by a diverse group of persons, ranging from professionals and technicians to those engaged in specifying or carrying out repairs to concrete structures, and those involved with the management of buildings and structures". In short, the Guide is indispensable for all those who have a stake in ensuring high standards of concrete repair and protection. With over 50 illustrations, tables, graphs and diagrams, A4 book imparts an understanding of sound practices and quality workmanship in the light of the state-of-the-art in both diagnostic equipment and remedial techniques. The book comprises seven chapters and three appendices. Each chapter ends with a list of recommended reading for more in-depth study of the subjects covered. The Guide begins by discussing concrete as a material and the causes of its deterioration. It categorises cracks and how they form. A chapter is devoted to inspection including advanced techniques using electrical and ultrasound technologies. Another details protective and remedial systems from simple patching to the latest advances such as cathodic protection, chloride extraction and realkalisation. Details are also given on repair practices. Case histories are included for a high-rise building, a marine structure, commercial complex, apartment building and retaining wall. Also presented, are repair strategies for both carbonation-induced and chloride-induced steel corrosion.